And a never-wavering determination to do right in support of his clients. Attorney Jim Yu can be counted on to bring all of these important qualities to every case he handles. Clients and colleagues recognize Jim as a “go-to” person for his knowledge, integrity and ethics. He is known for being patient, thorough and positive. Jim learned at an early age about the importance of strong standards and ethics. An immigrant himself, he learned about the many opportunities afforded those who live and work in the United States. He also saw first-hand the injustices that often prevent others from living full lives. Jim was inspired by his family to work hard and prepare to be the strong and effective advocate he is today. A 1995 graduate from the University of California at Berkeley with High Honors, he worked two jobs to support himself. He earned his law degree in 1999 from Georgetown University in Washington, D.C., where he specialized in personal injury law. While many of Jim’s fellow students became corporate attorneys in New York and D.C., Jim returned to the Bay Area after graduation to begin his career as a personal injury attorney. He has helped people from all walks of life obtain the compensation and medical care that they deserve and need. Through negotiations, mediations, arbitrations, and jury trials, he has recovered millions of dollars on behalf of his clients. In the spring of 2013, after a decade with a highly-regarded Bay Area personal injury firm, Jim opened up his own law practice in Walnut Creek. In 2015, he opened a satellite office in Santa Clara to better serve South Bay clients. He continues his commitment to serve injury victims and the community at large. In 2014, he was president of the Alameda-Contra Costa Trial Lawyers Association. From 2016 through 2019, he was selected as a Northern California Super Lawyer (given to the top 5 percent of lawyers). In 2009, 2010, 2011, 2012, and 2014, he was selected as a Northern California Super Lawyer Rising Star. Jim has been named a Top 40 Lawyer Under the Age of 40 by The National Trial Lawyers. He holds a 10.0 Superb rating on Avvo.com, the ratings and review site for lawyers. Jim speaks Mandarin Chinese and some Spanish, in addition to English. 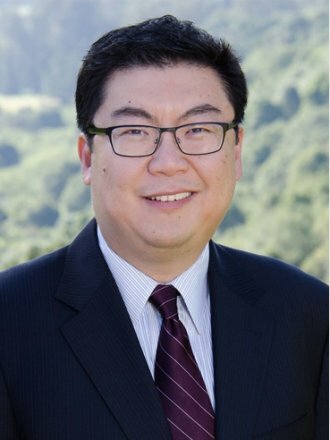 Jim Yu will help you hold the wrongdoer responsible and get you the compensation you need and deserve. Graduated with High Distinction in General Scholarship from UC Berkeley. Graduated with High Honors from Latin American Studies program at UC Berkeley. Outside of work, I am passionate about oddball cars and unorthodox travel. I especially love 1970s and 1980s French and Japanese cars. I am an avid Formula One car racing fan. I have traveled 15,000 miles on the Pan-American Highway solely by bus, from the Arctic Ocean down to the tip of South America.